“Can I take luggage into the Luggage Room?” I ask the dapper doorman. 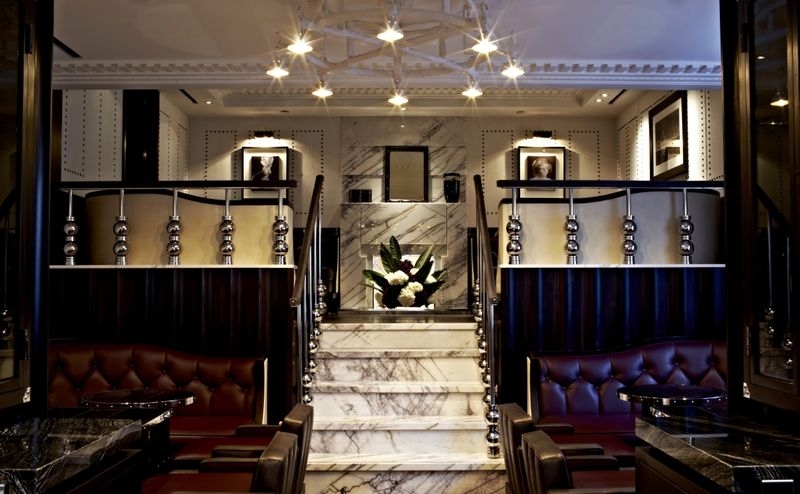 I’m on my way to the airport for an overnight long haul flight and stopping into the new Luggage Room at the London Marriott Grosvenor Square for a bite and a cursory stab at their cocktail menu, and as such I’m drowning in bags and attitude from the rush hour London public. “Of course, sir,” comes the reassuring reply, and I’m directed to a door stage right of the hotel entrance and told to knock, which I manage without further instruction. A panel slides across, smiley eyes peek out and a second later a sparky hostess is helping me with my case and secreting it away. “Walk this way, please sir.” Now that my bags are dispensed with, I can walk any way you like. The Luggage Room opens up before us, and initial impressions are that it’s kind of like an expansive, retro, first class train carriage, all leather banquettes and Art Deco curves. There are hushed early evening assignations going on in various corners as I’m seated and welcomed by the all-female staff, who are chattier and way less formal than their stylish attire suggests they might be, which is pretty much the perfect mix. I sit and wait for my friend with a menu and think that actually it’s more like sitting inside a giant Louis Vuitton weekend holdall. In a good way. 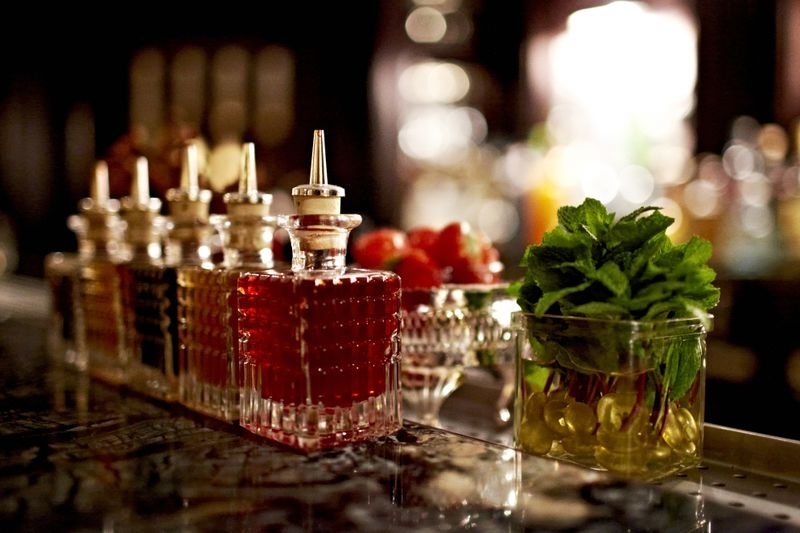 This thought and reading the extensive drinks list – an authentic stroll through olden days cocktails such as cobblers and punches – takes me up to my friend arriving (through another door that connects to the hotel lobby, not half as exciting as my entrance). For a drink, I do like a good cobbler, but plump for the Sloe Gin Fizz as it’s only a tweak away from my favourite cocktail (a Ramos Gin Fizz if you’re asking, and even if you’re not). My friend D goes for a Thornbridge APA. American Pale Ale. Apparently. The food menu is just as intriguing. We share the Frazzles (which turn out to be high quality crispy bacon strips and not, as we’d hoped - for the humour value - a packet of Frazzles), the pork pie (“Self explanatory,” says Katie, our server, accurately), the smoked eel (it seemed romantically cockney) and the ‘potted Two Hoots’ as neither of us had the slightest clue what that could possibly be, though looking at the menu now it is obviously a pot of blue cheese with sourdough dipping bread. Which it was. The staff chats happily to obvious regular customers (that or they’re phenomenally good mind readers) and bob over to see we’re doing alright, which we almost unswervingly are. Katie offers us a delightful history of the bar and its inspirations – it’s nicely potted, like, say, an artisanal blue cheese. The décor and its motifs are in fact an homage not to the golden age of the train, despite my untrained eye and its presumptions, but to the Bentley Boys. These gents were a couple of boy racing but nevertheless glamorous and wealthy yahoos in the 1920s and 30s, when cocktails were an integral part of any Grand Prix driver’s daily regimen. 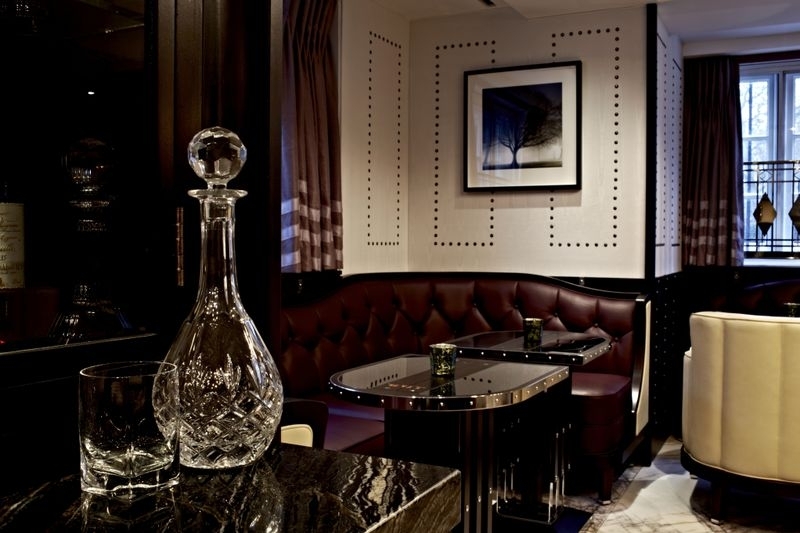 The Luggage Room has only been opened since December 2012, and has already undergone a revamp in terms of its cocktail menu, under the impressive eye of bartenders from London’s most select craft cocktail bars. It feels like a private club, but not so much (thanks to the staff) that obvious public bar aficionados like myself would feel out of place. And most importantly, I can report that the Luggage Room is, on top of everything else, a completely functional luggage room. Paul Oswell was a guest of the London Marriott Hotel Grosvenor Square.